So Thanksgiving is around the corner, and I'm sure like most of you, I am gearing up for all the food prep that this wonderful day entails. 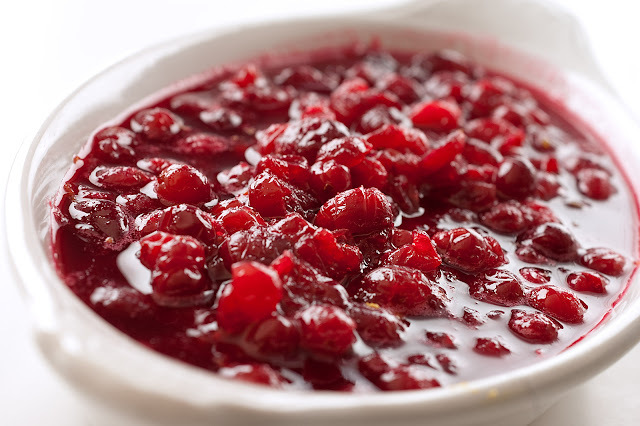 I'm not sure how you feel about cranberry jelly, that jiggly red stuff that sits next to your turkey, gravy, and stuffing and makes the plate look pretty...but personally, I have avoided that stuff like the plague for the last 38 years. Some how it's always been a little off-putting to have a can-shaped glob on a fancy glass plate that has never beckoned me to try it. That is, until last year. Last year when we watched a show on the food network and saw something that looked so tasty and pretty I thought, hey wait a second, maybe I would try to make my own from scratch. How in the world could anyone think of this as appetizing?? Now which one would you want to eat? Okay. I thought so. So the original recipe was from Claire Robinson on a show called "5 Ingredient Fix" under the title of Spicy cranberry chutney. She has this crazy notion of adding hot peppers into the recipe to kick it up a notch. Well I made her exact recipe (I don't even like hot peppers, what was I thinking?) and although it was easy to make, I didn't like the taste. So I decided to make the exact same recipe again, only without the jalapenos and guess what? 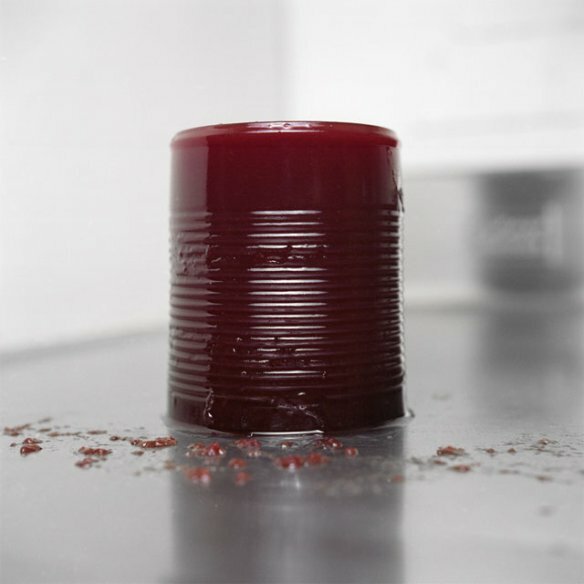 It was the most delicious cranberry jelly ever! So if you like hot peppers, then make her original recipe with the link above. 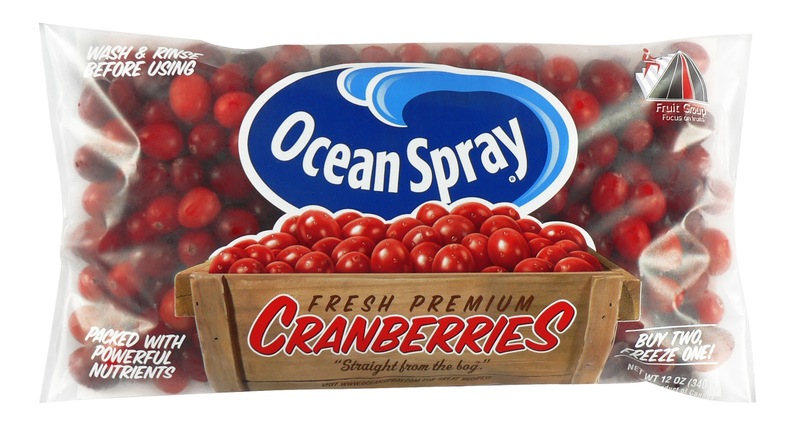 If you want a sweet, simple version, do what we did and just make it with fruit and omit the peppers. Add all the ingredients to the pot. Note, I went easy on the zest part. Just did a little from each fruit. If you love zest then feel free to go crazy. Put all ingredients into a sauce pot and bring to a boil over medium heat. 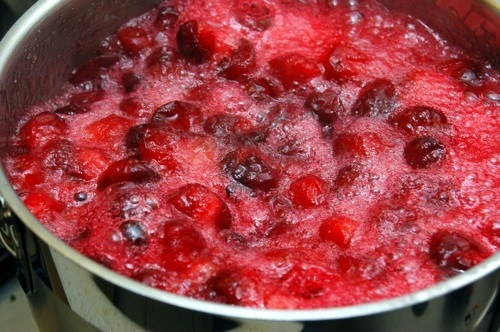 Reduce the heat and simmer until desired consistency, about 40-45 minutes. The sauce should reduce and thicken quite a bit. It is a very lovely bright red color and smells fabulous. Chill in the fridge until serving time. The nice thing about this is you can make it even a few days before the big day, as the flavors get better when they meld together. Proudly serve this to your family and guests on the big day. Or better yet, just for fun, put this and the old canned glob next to each other on the table as an experiment and see which one is consumed first. 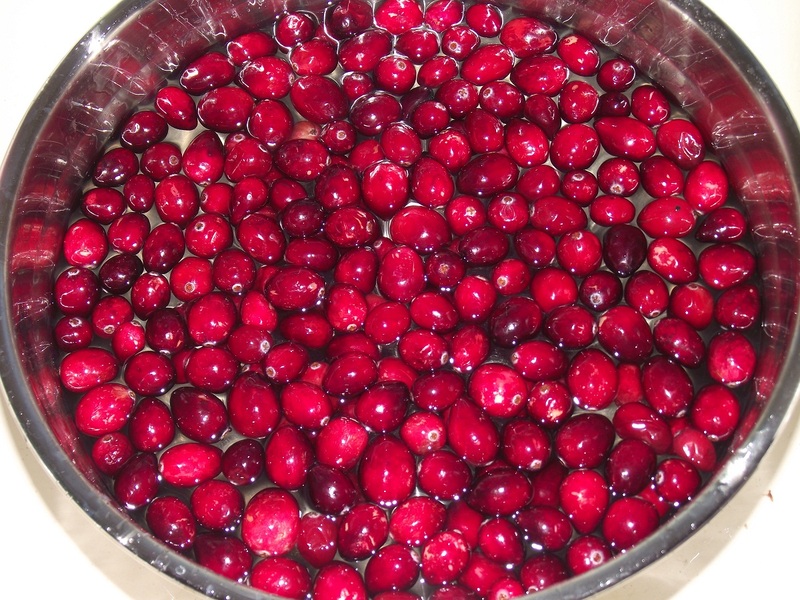 I must admit this is the first and only cranberry sauce I have actually eaten and enjoyed, so I am planning to make this again this year, not only to make my plate pretty, but to make my taste buds happy.